Blasting is the main method of production in many non-coal underground mining operations and produces multiple toxic gases as a result. The Mine Safety and Health Administration (MSHA) requires mine operators to measure the level of toxic gases in mines as frequently as necessary to ensure they are below regulatory safety limits. The current practice uses portable gas monitors to check the concentrations of toxic gases after a fixed post-blast time. This paper studies the application of a gas monitoring system in the return entry of a limestone mine to determine a safe re-entry time. The National Institute for Occupational Safety and Health (NIOSH) conducted such a monitoring program in a limestone mine from September 2016 through May 2018. NIOSH/PMRD (Pittsburgh Mining Research Division) is endeavoring to develop workplace solutions to improve detection of and reduce the risk of hazardous conditions. This study showed that the use of gas monitoring in the return air can be a useful tool at the mine operator’s disposal to detect and reduce the risk of hazardous conditions and also to reliably estimate the re-entry time. 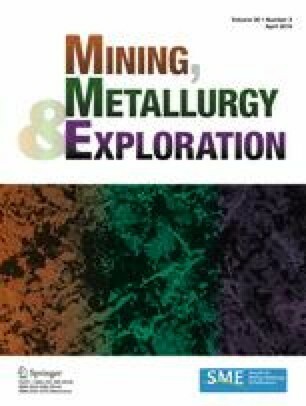 The authors wish to thank John Soles of the Pittsburgh Mining Research Division for conducting measurements during this study.